India’s Prime Minister Narendra Modi likely to change the political map of Indian-held Kashmir (IHK) by dividing the disputed state into three parts, a daily newspaper reported while quoting ‘credible sources’ in the PM Office in New Delhi. “The Indian government will create three union territories of Jammu, Kashmir and Ladakh,” according to the Jammu-based Early Times. It said that Prime Minister Modi was ‘very serious’ about Kashmir. “He (Modi) wants to resolve the ‘Kashmir issue’ before the general elections of 2019,” it said. 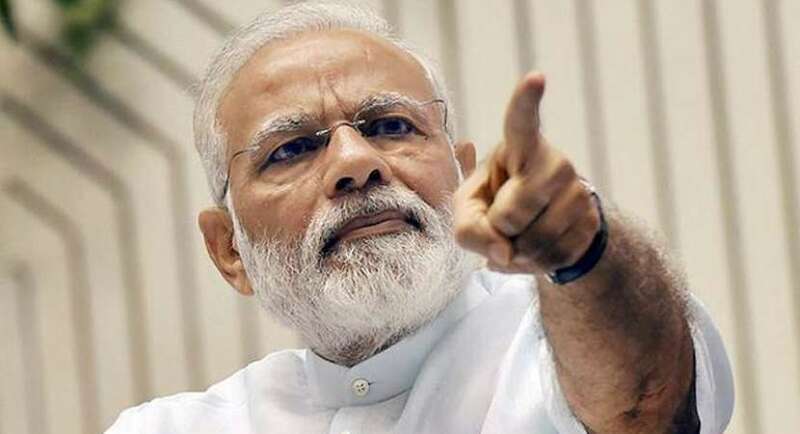 Quoting the sources, the paper reported that the Indian prime minister wants to resolve the Kashmir issue during his first-term itself. “It is possible that he (Modi) may himself in a month or so declare division of Kashmir into three parts,” it said. According to PMO officials, the Modi government was working out a scheme that would lead to the trifurcation of the disputed state. “If all goes well, the Kashmir map would be changed and Jammu, Kashmir and Ladakh would be created as the union territories,” they said. The report claimed that the ‘division’ of the disputed territory would lead to the ‘resolution’ of many problems. India’s ruling party knows that it can’t form a government in the disputed state on its own and that it has to depend either on the National Conference or the People’s Democratic Party if it wants to share power. Under such a situation, the Indian ruling elite can’t abrogate Article 370 of the constitution. An Indian officer at the PM Office claimed that the Modi government would divide the disputed state before the general elections of 2019. “He (Modi) will himself announce this (controversial) decision,” he said. PAKISTAN SHARES VIEWS: Pakistan firmly rejected an Indian claim to Jammu Kashmir as an ‘integral part’ of India, saying it is an internationally-recognised disputed territory. “We do not accept the so-called accession of the State of Jammu Kashmir to India. Kashmir is not an integral part of India. Our position is that Jammu Kashmir is a disputed territory,” according to Foreign Office in Islamabad. 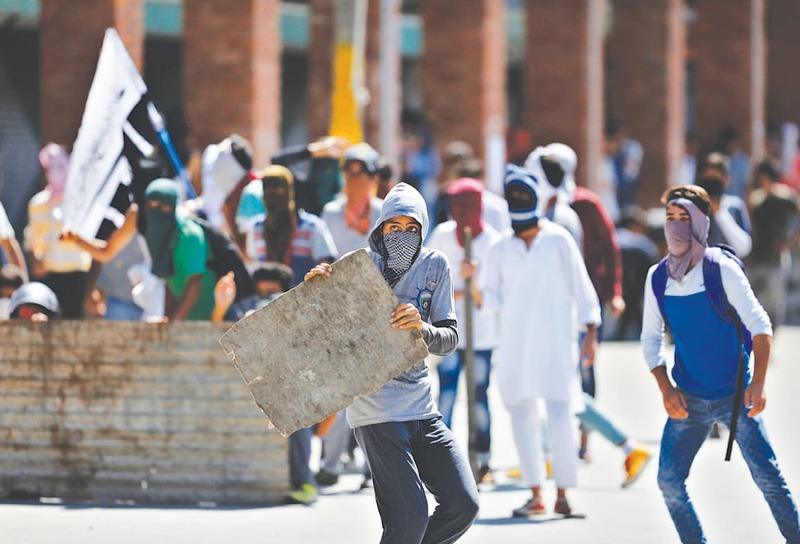 “Kashmiri people have yet to exercise their right to self-determination which has been assured to them by almost 20 resolutions of the United Nations Security Council,” it said. “The legal and factual background of Jammu Kashmir issue is quite clear and efforts to mislead or confuse the international community would not succeed,” a Pakistani diplomat said. The UN Security Council resolutions had clarified that no electoral exercise conducted by Indian authorities in Jammu Kashmir could be accepted as a substitute to free and impartial plebiscite under the UN auspices. “If only India would agree to the UN plebiscite, as we do, the exercise of this free choice by the Kashmiri people would clarify once and for all, as to who is the real occupying force in the disputed Kashmir region,” the diplomat said. 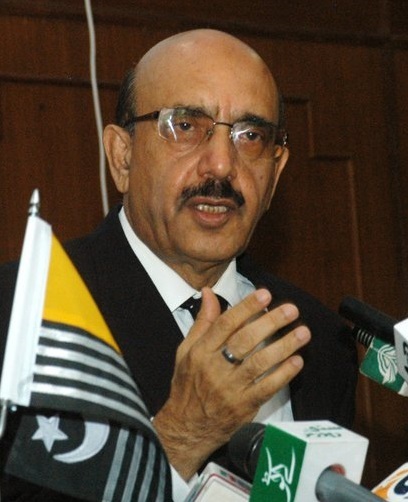 KASHMIRIS SHARE VIEWS: Azad Jammu Kashmir President Masood Khan urged India to pursue diplomacy to settle the Kashmir issue amicably. “Kashmir is an international issue still pending on the UN agenda that needs to be addressed under relevant (UN) resolution,” he said and emphasised that only a negotiated settlement was a viable way to find a peaceful solution for the core issue. He said that political manipulation to repeal the Article 35-A and Article 370 would in no way help India to get out of the quagmire of its own making in Kashmir. While Prime Minister Farooq Haider said that Kashmir was a political problem and not an economic one. “It is a political issue rather than a problem related to governance, economic packages, incentives or law and order,” he said. “Kashmir is not a piece of real estate. Kashmir is not a part of a property. This is not a territorial or land dispute between Pakistan and India. But this is a humanitarian problem,” Mirwaiz Umar Farooq had said. “Kashmir issue has to be addressed and resolved in its historical context through tripartite talks with the active involvement of all the stakeholders including the Kashmiri people,” he said. 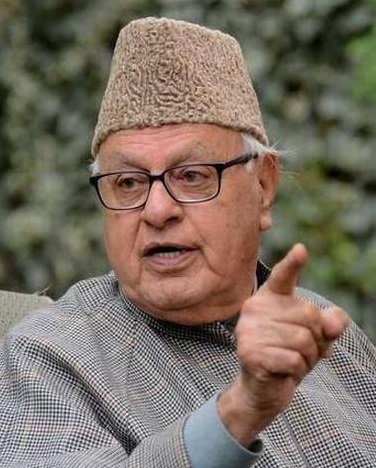 PRO-INDIAN’S VIEWS: Former Kashmiri chief minister Dr Farooq Abdullah had said that Kashmir was not India’s personal property to be inherited. “Pakistan is one of the stakeholders of the Kashmir issue which even the Indian government has accepted,” he said, adding that India will have no option but to start talks with Pakistan so that the atrocities through which Kashmiri people are undergoing will come to an end.